Serving as an Art Director for the Texas State University team, create a fully integrated advertising campaign and brand repositioning for Tai Pei Frozen Food and their target demographic, Millenials. In between your commute? Digital billboards will change based on the time of day. 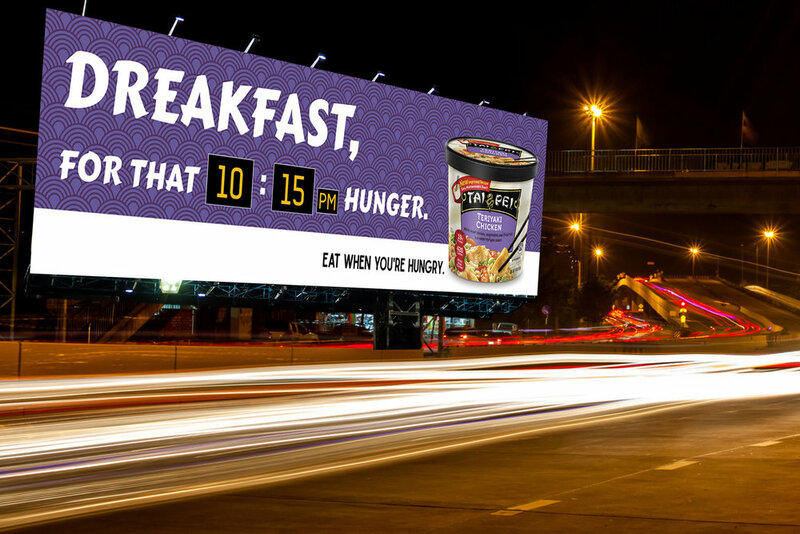 The billboards introduce Linner (2 – 5 P.M.), Dreakfast (8P.M. – 12 A.M.) and Drunchies (12 – 4 A.M.). 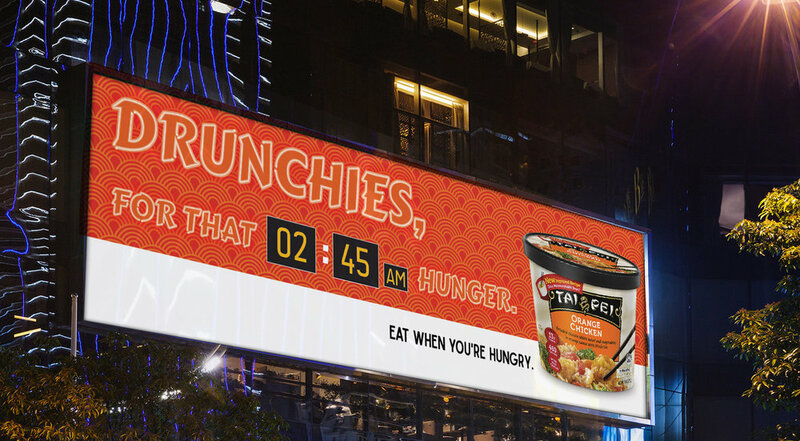 With a real-time clock that catches the consumer's eye, these billboards drive home the slogan, Eat When You're Hungry. Why not put Tai Pei right under their noses? We took over some of the most used social media platforms. Assets like Snapchat filters, advertisements in between songs on Pandora, and even quizzes on Buzzfeed to create a more interpersonal relationship with consumers inspired from the in-between campaign.